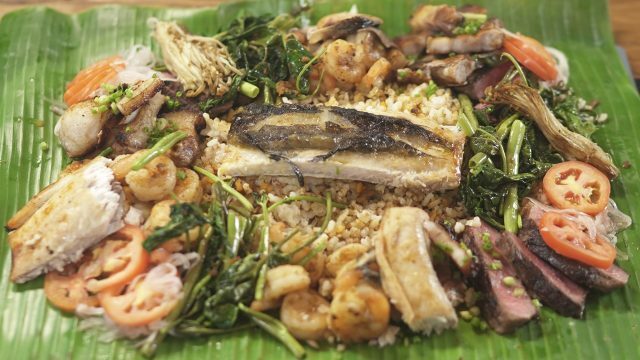 Bacolod is known to be home of Inasal, but there’s more to their cuisine than that. It’s a city also known for its comfort food. Particularly, their soups. Bacolod has its own versions of soups that you can find around the Philippines. Filipino soups are generally made with boiled meats and vegetables, sometimes flavored with sour fruits or leaves. 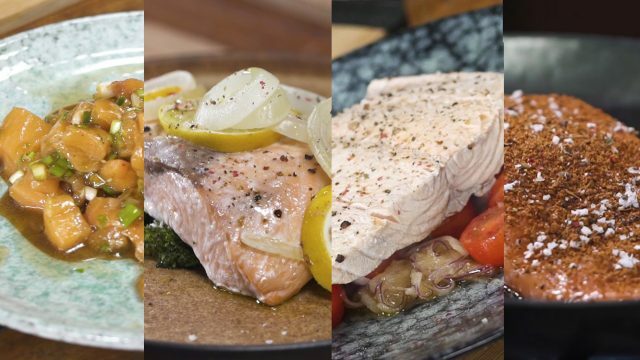 Popular ones are nilaga, Bulalo, and sinigang. 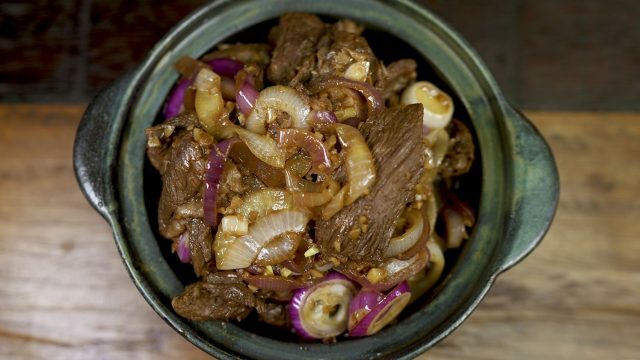 In Bacolod, their most popular soups are KBL, Cansi, and Batchoy. KBL stands for Kadyos, Baboy at Langka. It contains pigeon beans, which I’ve honestly never seen before in a soup. The pork is often cooked before being added to the soup, which adds a smokey flavor. The langka, or jackfruit, adds a sweetness that complements the dish very well. 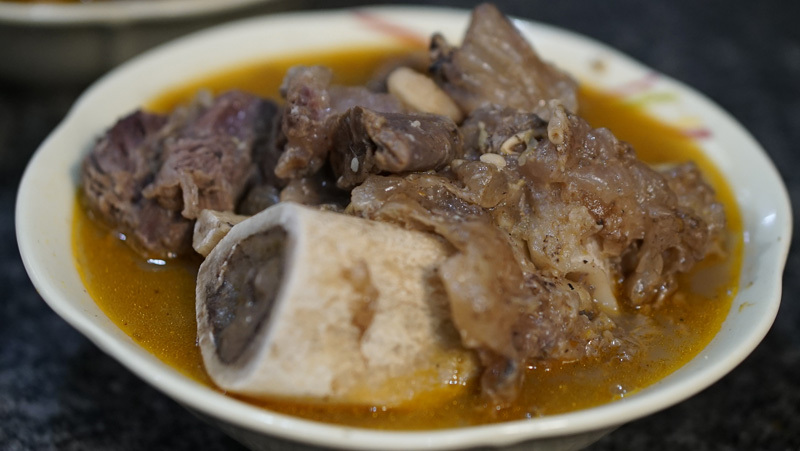 Cansi, alternatively spelled in some areas as Kansi, is the Bacolod version of bulalo. 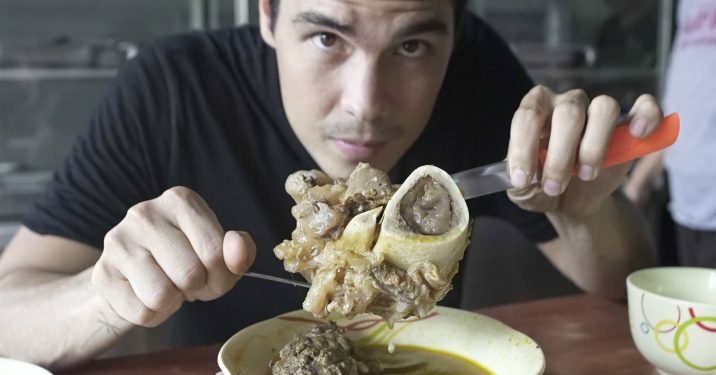 Bone-in beef shank with tons of bone marrow are slowly boiled in a soup that’s sour with batuan. Batuan is a sour fruit that reminded me of lanzones. Many soups in Bacolod are actually flavored with this soup. 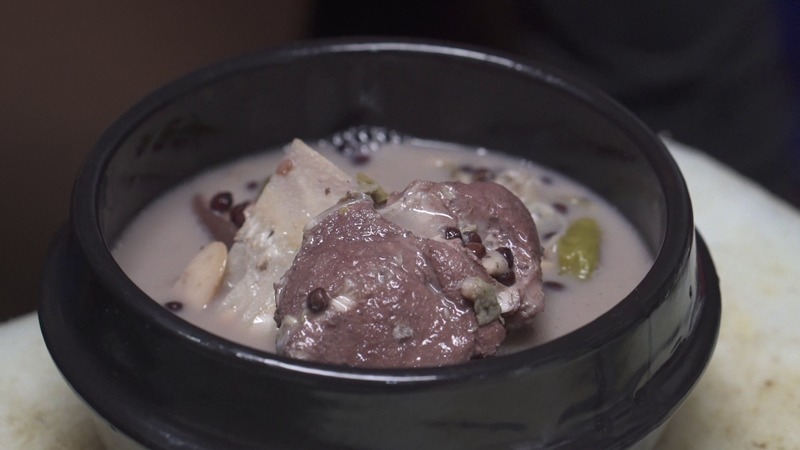 It’s a different kind of sour that goes so well with a rich and decadent bone marrow soup. I was able to meet the grandson of Sharyn’s, of the famous Sharyn’s Cansi in Bacolod. They make thousands of bowls of cansi a day! Batchoy actually originated from Iloilo, but because of their proximity, it has found its way to Bacolod. Unfortunately, I couldn’t visit the land of Batchoy itself, so what was in Bacolod had to do. Luckily for me, the batchoy in this city is superb. Batchoy is an intense, overloaded soup that just hits you in the face with flavor. It is a noodle soup that contains both pork and beef, and is topped with egg, chicharon, and toasted garlic. 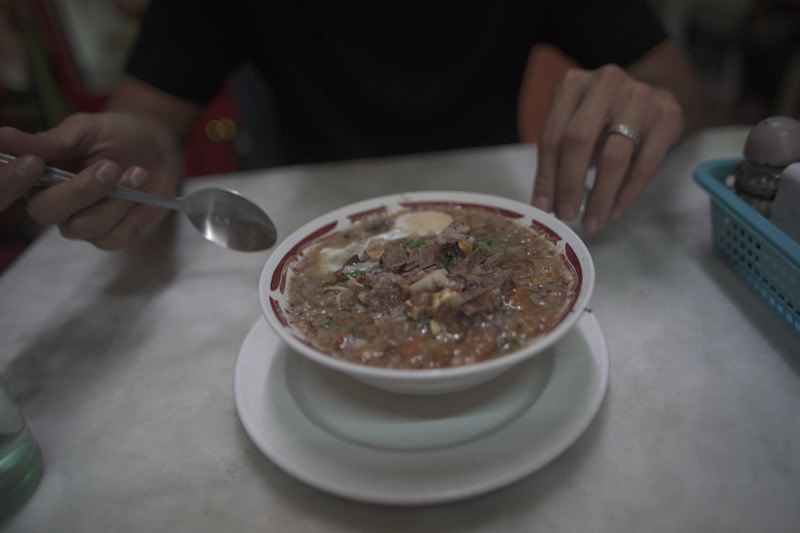 As heavy as it sounds, you can’t seem to get enough batchoy. I visited Super Batchoy House II. We were led to this location by our driver, and unfortunately I couldn’t find their exact address. 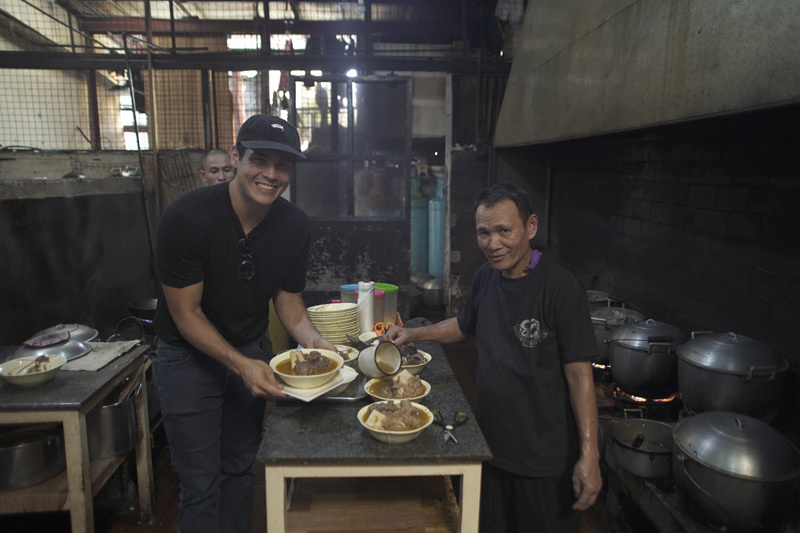 You can also try the famous batchoy of 21 Restaurant, which we weren’t able to visit. They can be found at 21 Lacson St. Bacolod, 6100 Negros Occidental. While these soups are all amazing in their own ways, which is the best? Check out my video below to find out! What’s your favorite Ilonggo soup? Let me know in the comments!